This year, I Love Techno will be held on Saturday 10th November (10.11.12) at the Flanders Expo in Ghent. I Love Techno - Belgium's premier indoor dance festival - has been setting the tone for 18 years with a winning formula that doesn't compartmentalise, caters for all genres and always presents an eclectic showcase of the best in electronic music; past, present and future. The first confirmations for I Love Techno 2012 are in with confirmed so far: Vitalic (Live), Netsky (Live), Nero DJ Set, Modeselektor (Live), A-Trak, Dave Clarke, Erol Alkan, Flying Lotus (Live), Gesaffelstein (Live), Dada Life, Zeds Dead, The Magician, Tnght (Live), Camo & Krooked DJ Set and Scntst with more names to be confirmed. 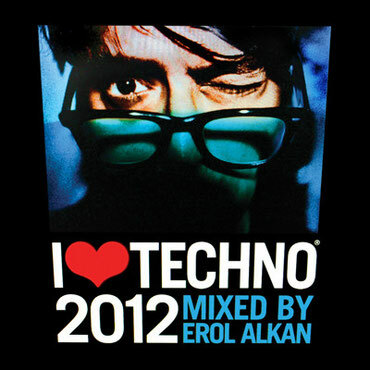 In 2012, I Love Techno will have a slightly different look than before. The room concept - yellow, green, orange, red, blue - won't change, but the space available in Flanders Expo will be used differently so there is more room to enjoy the event.